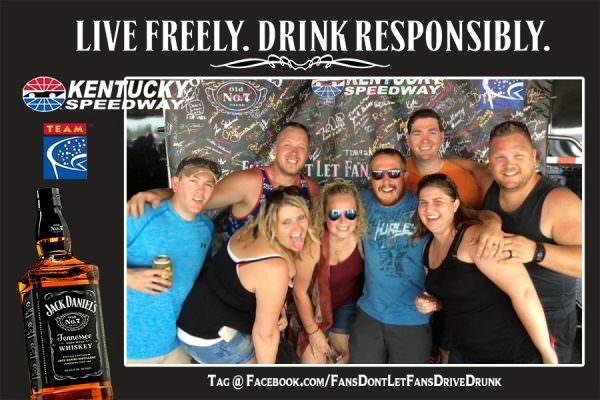 Responsible NASCAR fans earned valuable rewards at the July 9, 2016 Quaker State 400 presented by Advance Auto Parts at Kentucky Speedway. 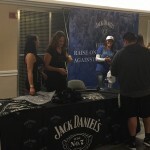 The track, Jack Daniel’s and TEAM Coalition partnered to promote responsible drinking and traffic safety at Kentucky Speedway. 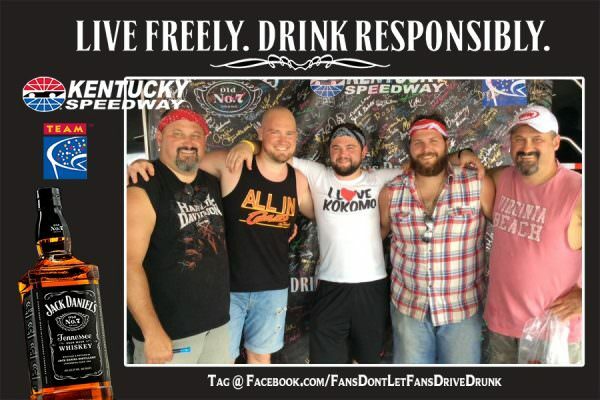 Before the race, an astonishing 603 fans made the pledge to always have a designated driver. 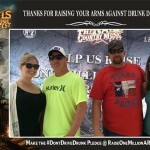 All those who pledged had the opportunity to receive a free souvenir photo, instant prizes and a chance to be selected as the Designated Driver for the Race. One randomly selected, responsible fan will win the Responsibility Has Its Rewards sweepstakes. The grand prize includes a VIP experience for two to the next NASCAR Sprint Cup Series race at Kentucky Speedway. 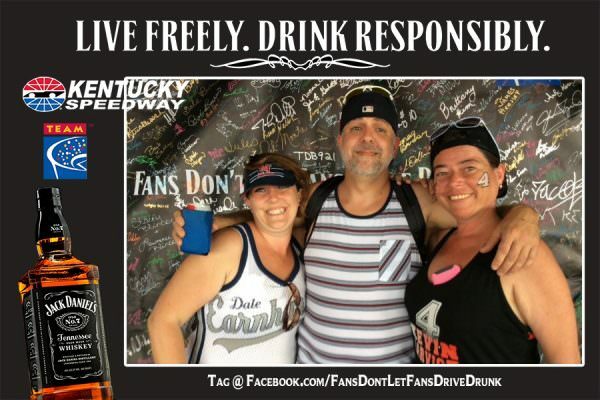 The Designated Driver for the Race from last year’s Quaker State 400 presented by Advance Auto Parts at Kentucky Speedway, Wendell Seaver, received his Responsibility Has its Rewards sweepstakes prize – two tickets and a VIP behind-the-scenes experience before the race. Owned by Speedway Motorsports, Inc. (SMI), Kentucky Speedway is a 1.5-mile superspeedway located in Sparta, Ky., just 35 miles south of Greater Cincinnati /Northern Kentucky. The track attracts fans from the Tri-State area of Kentucky, Ohio, Indiana and beyond. Entering its sixteenth season of racing, the speedway hosts NASCAR and ARCA events. In July, the venue presents the sixth running of the “Quaker State 400 Presented by Advance Auto Parts” NASCAR Sprint Cup Series race. Prior to 2011, Kentucky Speedway hosted the NASCAR XFINITY Series races and the NASCAR Camping World Truck Series. In addition to the July event, the speedway will host a second NASCAR XFINITY Series event in September along with an ARCA race. For 144 years, Brown-Forman Corporation has enriched the experience of life by responsibly building fine quality beverage alcohol brands, including Jack Daniel’s Tennessee Whiskey, Southern Comfort, Finlandia, Jack Daniel’s & Cola, Canadian Mist, Korbel, Gentleman Jack, El Jimador, Herradura, Sonoma-Cutrer, Chambord, New Mix and Woodford Reserve. Brown-Forman’s brands are supported by nearly 3,900 employees and sold in approximately 135 countries worldwide. 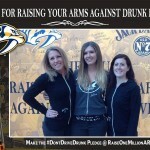 For more information go to www.brown-forman.com. TEAM Coalition is an alliance of professional and collegiate sports, entertainment facilities, concessionaires, stadium service providers, the beer industry, distillers, broadcasters, traffic safety experts and others working together to promote responsible drinking and positive fan behavior at sports and entertainment facilities. TEAM Coalition members and supporters include NASCAR, Brown-Forman, Major League Baseball, Major League Soccer, National Basketball Association, National Football League, National Hockey League, National Collegiate Athletic Association, Americrown, Aramark, Delaware North Sportservice, Legends, Spectra, Anheuser-Busch Companies, Beer Institute, National Beer Wholesalers Association, Constellation Brands, HEINEKEN USA, MillerCoors, Live Nation, National Association of Broadcasters, Contemporary Services Corporation, International Association of Venue Managers, Stadium Managers Association and the National Highway Traffic Safety Administration. 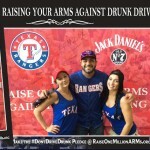 For more information visit TEAMCoalition.org or FansDontLetFansDriveDrunk.org.